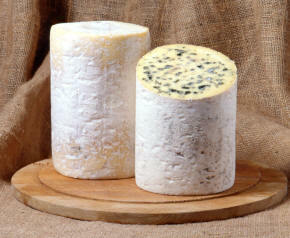 Fourme d’Ambert is one of France’s oldest cheeses. Legend even says Roman invaders from as far back as 52 BC took over the production of this distinctive blue from the ancient Gauls and Druids who were living in what is now central France. “Fourme” is derived from the Latin word “forma” (form) that describes the cheese’s slim, cylindrical shape. The word “fourme” (or “forme”) predates “fromage” as the common French term for cheese. Ambert is the mountain market town in the Auvergne region where this popular blue was first developed and primarily sold. Still made in Auvergne, with the rich, flavorful milk from local cows that graze on high-altitude meadows, Fourme d’Ambert is name protected and known for tempting even non blue cheese lovers with its sweet, creamy mildness that delights with delicate notes of fruit and mushroom. Fourme d’Ambert’s dove white interior has a higher moisture content than other blues, causing assemblies of its green-blue veining that don’t interconnect as well as a smoother, less crumbly texture. After around two months of aging, a rustic, gray-brown rind covers Fourme d’Abert and the corresponding aroma is sweet and earthy. Application: Perfect for crusty bread, this blue’s creamy mildness plays well with a range of other cheeses on a cheeseboard and goes beautifully with the sweetness of fresh pears, honey or candied nuts but more than complements savory sides of olives and cured meats as well. It is also very well suited for salads and soufflés. Pairing: Best with a robust southern French wine like a Cotes du Rhone or, for the end of a meal, adding a sweat wine like a Port makes for a great dessert. The walnut-sized Cerignola olives, from Puglia in Southern Italy, are the largest in the world. Impressive measurements, however, are far from the Cerignola olive’s only attributes. Distinctively attractive in deep green, these meaty, firm olives have a fruity, clean, mild flavor that appeals to the olive lover in everyone and are very low in calories but high in fiber. 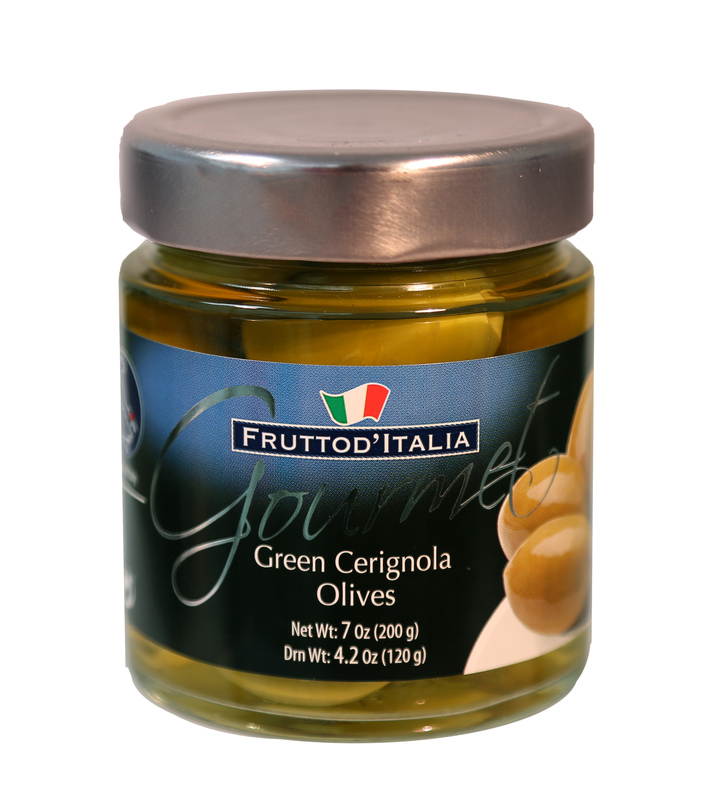 Packed in brine with no added preservatives, Green Gerignola Frutto d’Italia Olives are delicious on their own, perfect for antipasti or cocktails and of course a delight with cheese.